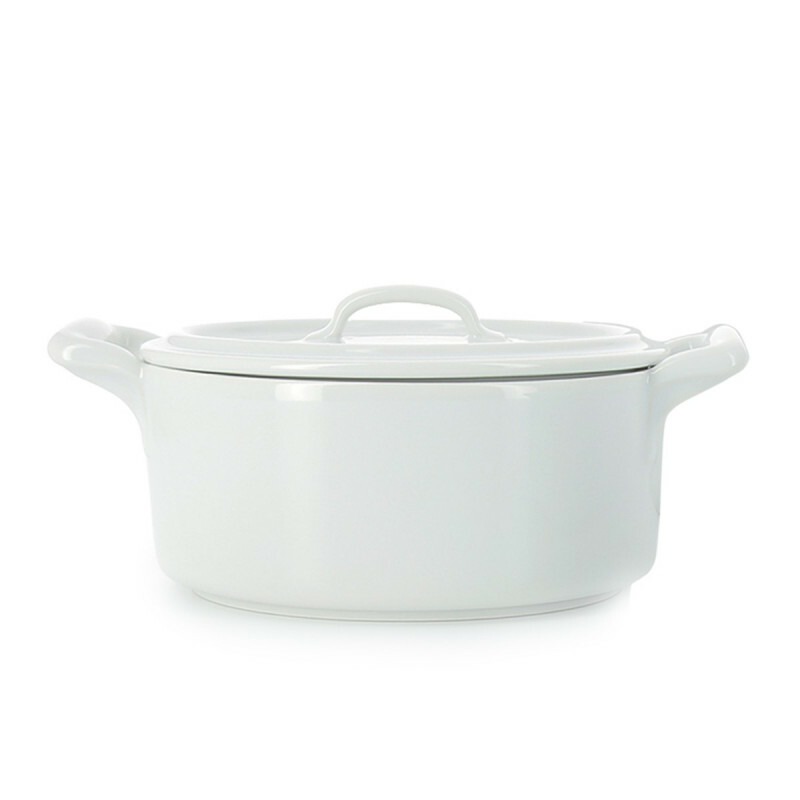 Our Belle cuisine covered dish casseroles made of white porcelain is a classic essential piece of the French cuisine, with its elegant shape and finish. 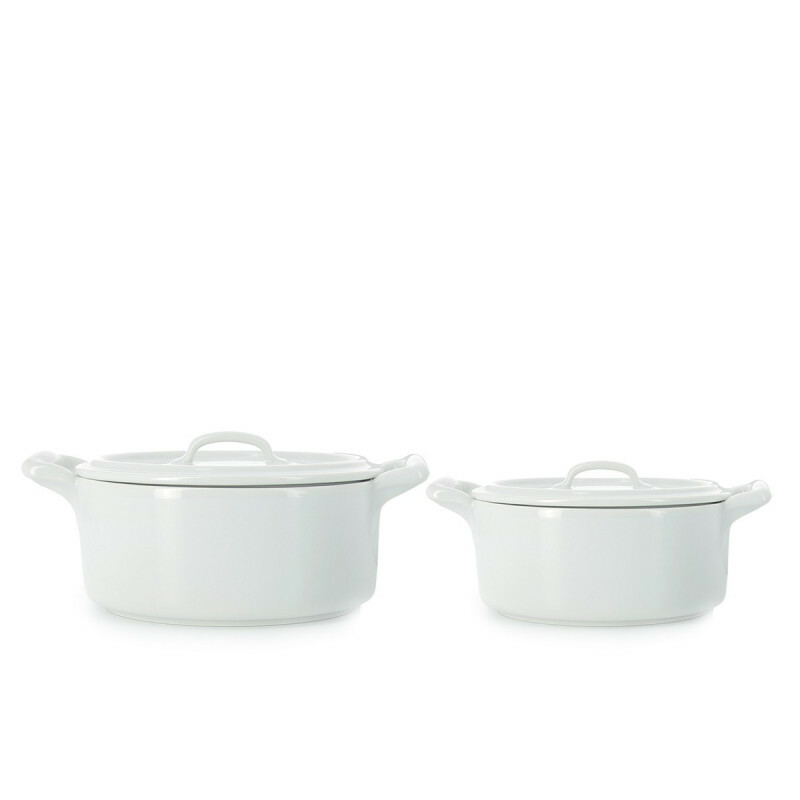 Made of high-resistant porcelain, these covered baking dishes can be used for baking, serving and storing all kind of casseroles and stews. The white transparent glaze applied to the porcelain clay makes it easy to clean and will not scratch, will not easy chip and will not stain. Available in 2 sizes: small and medium. 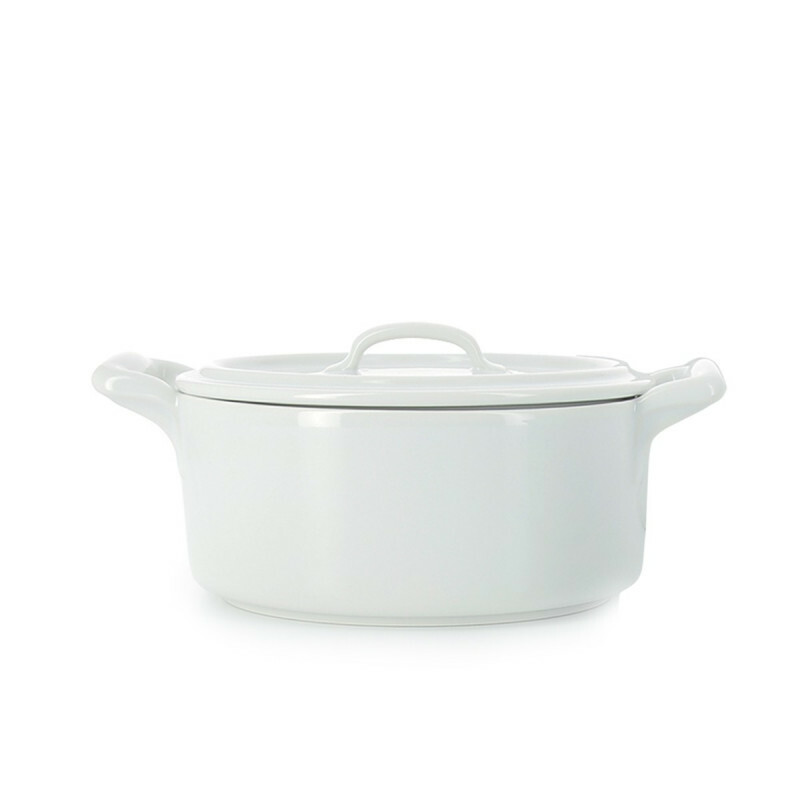 Made of porcelain, this casserole has high-quality properties: suitable for oven and microwave use, food will be heated evenly and will remain warm for a longer time. The handles are cast in one mold so they are sturdy and easy to grab. They are actually finished by hand in the factory. 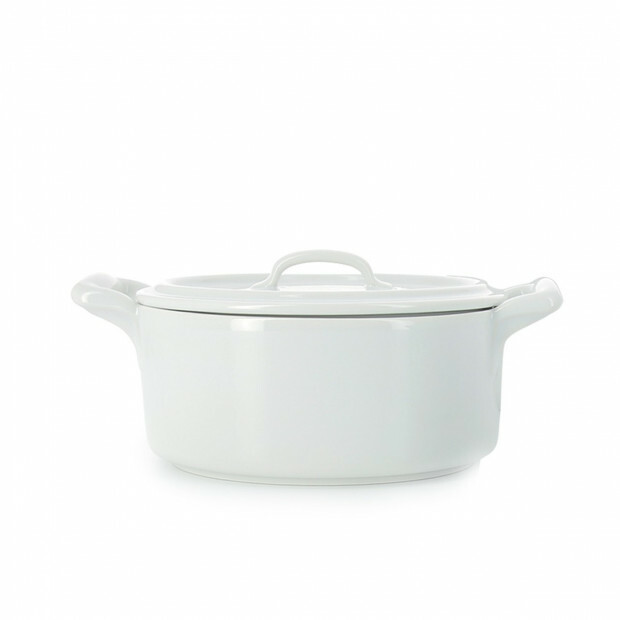 As most of Revol pieces, the cocotte will go through human process many times to ensure the best quality rendering possible, before been packaged and sent to either professional kitchens or retail stores all around the world. Also available in black. Comes in 2 sizes: 0.5QT, 1.1QT.